Discover life in Monterey&apos;s bay without leaving dry land at the Monterey Bay Aquarium. Dedicated to marine research and conservation, the Monterey Bay Aquarium is known throughout the world for its interactive exhibits and ability to present marine life on a truly grand scale. The former sardine cannery is now a top attraction on Monterey’s Cannery Row with over 35,000 creatures representing over 550 sea life and marine species. 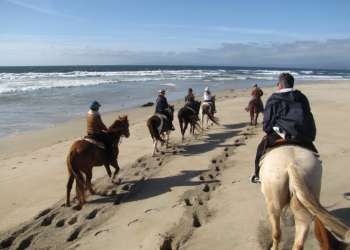 Special exhibits include the Kelp Forest, the Open Sea Gallery and Splash Zone. The aquarium is one of the best places to view Monterey’s favorite mascot, the sea otter. Guests can watch these playful critters in a two-story exhibit while they interact with each other and their respective audience. The Aquarium also offers various behind-the-scenes tours, daily shows, feedings and other special events throughout the year. 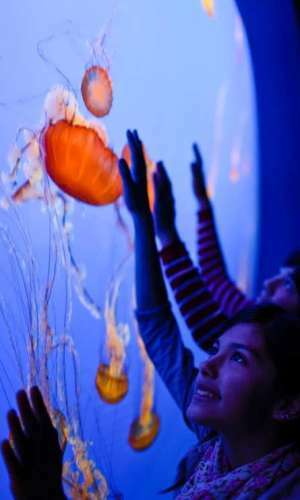 For tickets and discounts visit the Monterey Bay Aquarium’s official site.